Since the weather has been ridiculously beautiful recently, I decided to purchase some new 'summery' skirts (this number above being one of them!) 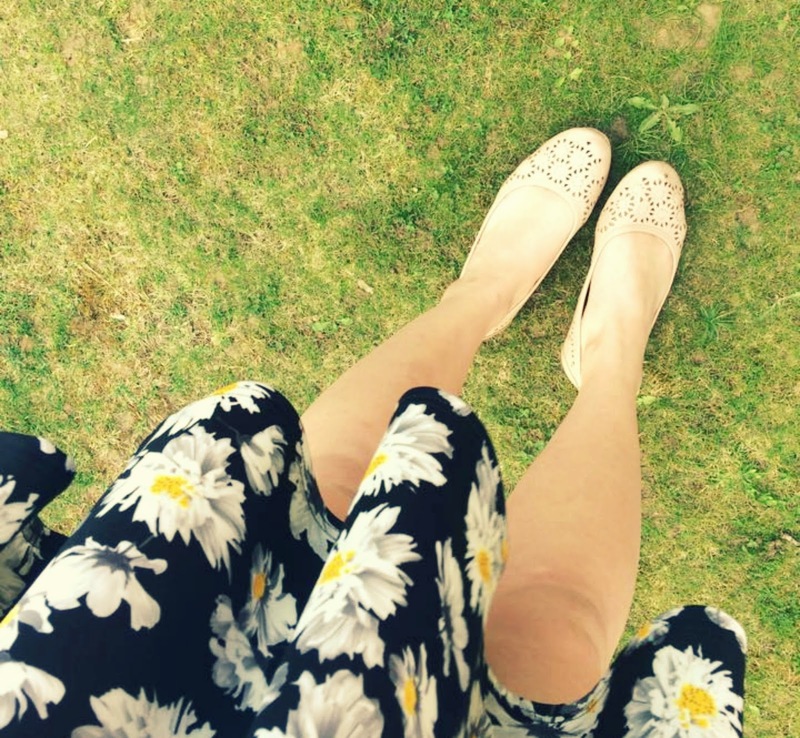 I absolutely love this gorgeous daisy pattern and think it would look perfect on an evening out. 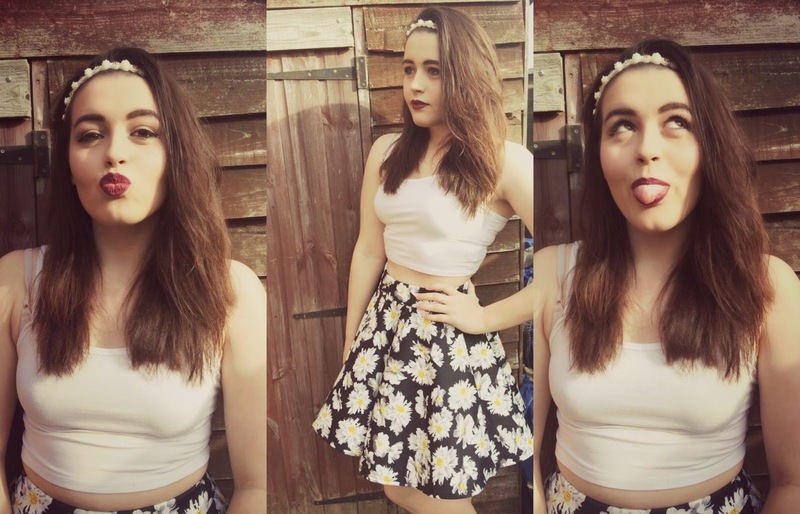 This small white crop top makes this outfit even more summery, paired with a jewelled floral hair band. 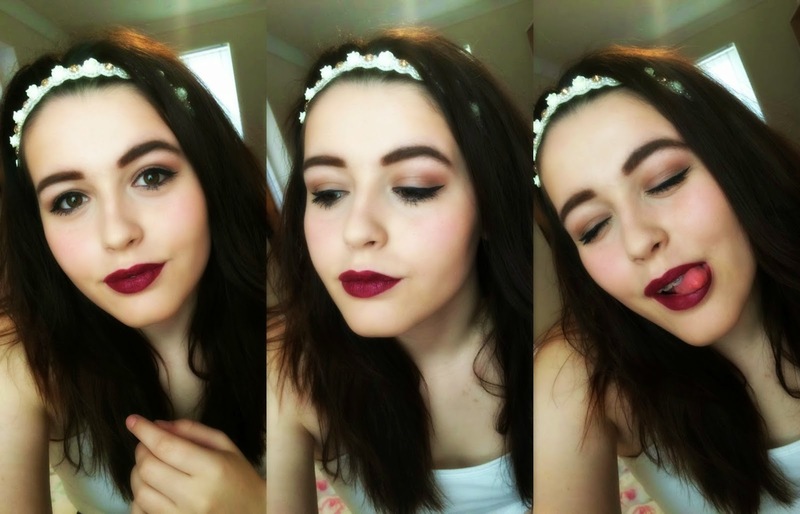 What is an evening look without a dark red lip? Maybelline's drama velvet lip pencils are affordable, long wearing and highly pigmented, not to mention their stunning colour range. I definitely need to buy some more of these - but this colour is most definitely the one for this look. The soft, sultry brown eyes are also uber pretty, especially with the thin feline flick. I decided to intensely contour; I love a good ol' bronzed glow in the summer, it makes my skin look super healthy and radiant. What would you wear on a summer evening night out? Are you brave enough to wear a dark lip? Love this look! 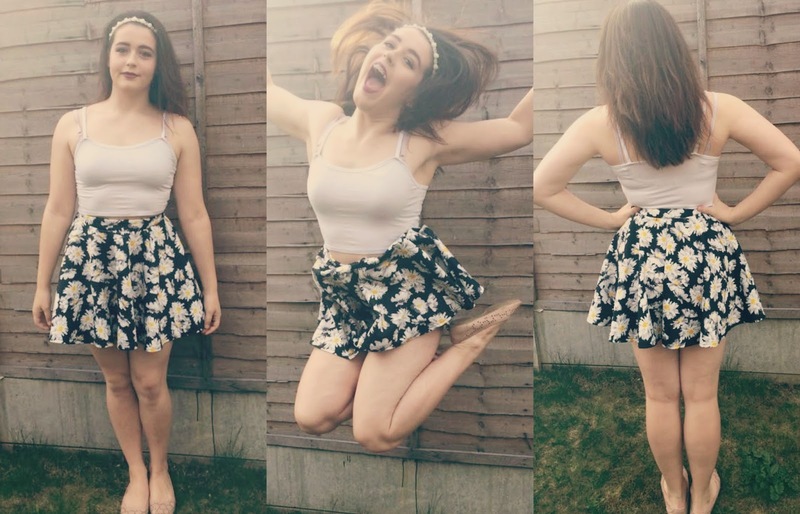 The floral skirt is so pretty!